PrezentareThe epic scope of Star Warsmeets the signature style of Disney animation to deliver an entirely new experience for fans of the blockbuster film. The Death Star, the Empire's ultimate weapon, is nearing completion, and the Rebel Alliance may be doomed. Enter Jyn Erso, daughter of the Death Star's reluctant creator, who desperately seeks to save her father from Imperial control. On her quest, she'll join forces with Rebel spy Cassian Andor, reprogrammed Imperial droid K-2SO, and other supporters of the Rebel cause, only to discover that their goals may differ crucially from her own. 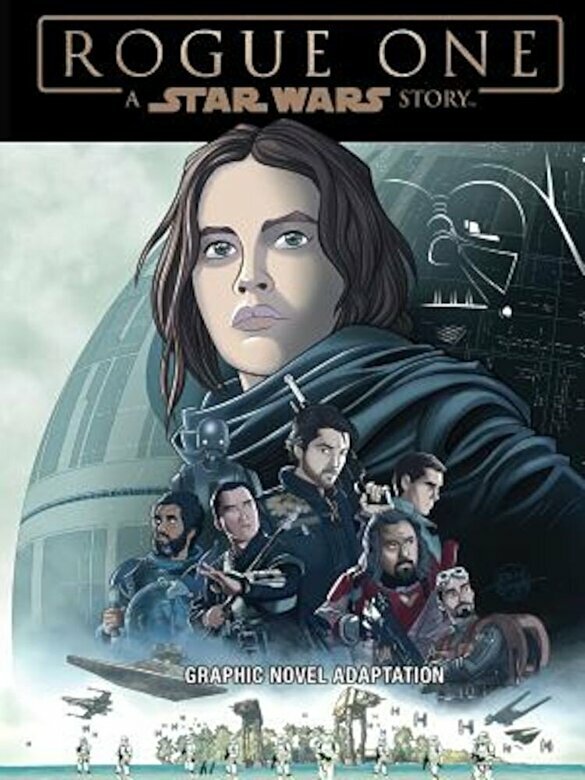 It all culminates in a saga-defining showdown on the tropical planet Scarif, with Jyn and her friends attempting to steal the Death Star's plans and keep hope for the Rebellion alive, leading directly into the iconic opening scene of Star Wars: Episode IV.